All toddlers like drum sets and it’s one of the best toddler toys around. The audio feedback is great for reinforcing kids motor skills. 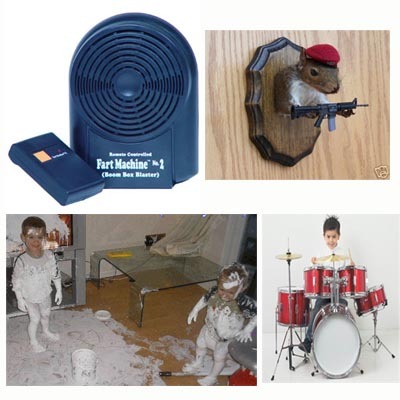 Psychologists say that activity toys are the best for kids, and a fart machine brings hours of dignified play. You cannot go wrong with any of the slime toys. Everybody loves taxidermy, and this fellow sells the best cuddly, real stuffed animals. Kids love to paint, and this paint spinner toy is guaranteed to be a best choice. 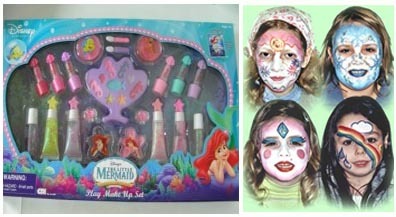 Silly string is always a best choice for kid’s gifts, and for the young lady, a kids make up kit is a great choice (make sure to get kids lipstick too). There is nothing like watching your daughter morph herself into Alice cooper on Christmas morning. Whatever you do, watch out for gifts that might be in bad taste.